Perfect is the enemy of the good. I’ve been trying to craft the perfect blog post about Slovenia, but I have now been home from my trip to Europe for about six months and haven’t finished. For ze childrenz, I have committed to write this. 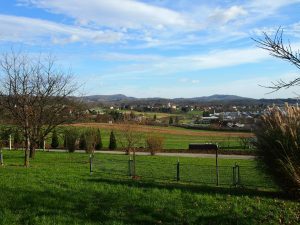 Back in December 2014, I went to Slovenia to visit my family. My third and fourth cousins live in Ljubljana and Metlika, Slovenia as well as in Graz, Austria, and probably in a number of other places, since I don’t know all of them. Not so long ago, one whole side of my family lived in Slovenia, mostly in the beautiful town of Metlika. 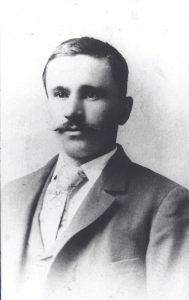 My great-great grandfather, Joseph Martin Pruss was born in Metlika, Slovenia in 1866 (although at the time it was part of Austria and then became part of Yugoslavia but is now Slovenia). He immigrated to the United States in 1888. He found employment in Canon City, Colorado and then sent for Mary Margaret Prus (born: 1872-different spelling of the last name) to come. 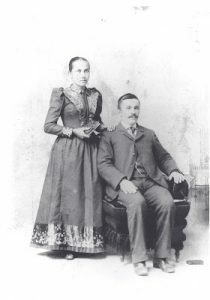 Mary immigrated in 1893 and they were married on October 18, 1893 in the Roman Catholic St. Michael Church in Canon City, Colorado. olorado. 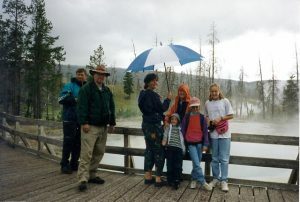 He moved the family to Butte as he began mining copper in the Leonard Mine. Joseph Frank was born in April of 1896. Fast forward through many stories and marriages, births, and deaths to the later life of my great-grandmother Mary Magdalene Pruss, the oldest child of Joseph and Mary. 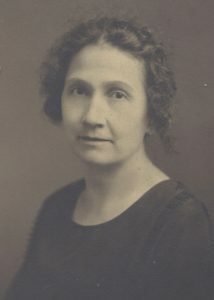 She grew up and married my great-grandpa Carl Christian Larsen, and they had several children, including my grandmother, Lillian. Great-great grandma Mary Margaret lived for several years with my great-grandma Mary Magdalene while she was raising her children. My grandma Lillian remembers sharing a room with Grandma Pruss in their home. I imagine there were many stories of the beautiful land of Slovenia. There were certainly many traditional recipes created, such as Potica, a typical Slovene bread. Surely inspired by years of these stories, in 1978, Grandma Mary Pruss Larsen, then a widow, wanted to return to the homeland and meet her cousins. She and her sister Albena joined a tour group and trotted off to then-Yugoslavia. 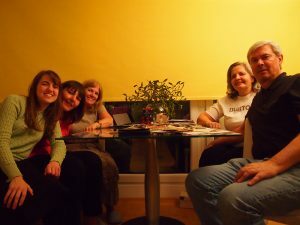 They were able to go to Slovenia for just a day in their travels, and made it down to visit relatives in Ljubljana. ?, Frank Prus, Albena Newman, Justina, Mary Larsen, Tomaz PrusThey were greeted by Frank Prus, her cousin, and several of his extended family members. Apparently unsatisfied with just one visit (I know the feeling! 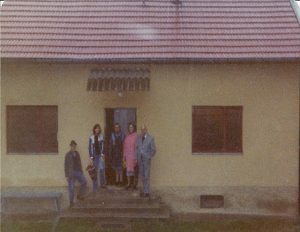 ), Mary and Albena planned a second trip in October 1979 and met more of the family and visited the ancestral land of Metlika. Mary and Albena rekindled the family relationships and kept in contact until Grandma Larsen passed away in 1991. At her passing, my mom found her address book and sent a letter to all those Grandma had known, informing them of her passing. They had escaped but had left all behind. For quite a while, my mom researched our ancestral lines to prove our relationship to them and help sponsor them as refugees in the United States….to no avail. No relation was close enough to allow them to come, so they remained. But my mom sent care packages and kept in contact with them.Because my mom is amazing at keeping in contact with cousins, this included our cousins in Slovenia. My mom found out about what was going on in their lives and began writing them to learn about our ancestral lines. I have a binder stacked with letters back and forth about their correspondences. It is like gold to me. While my mom corresponded largely with Tomaz initially, along the way, we heard news from some cousins who were in Bosnia during the Bosnian War (early 1990s). One of our cousins was able to escape with her son because she worked for the airlines. Her sister was stuck for some time but eventually escaped through some harrowing circumstances. 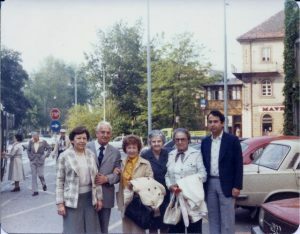 And then our cousin’s husband was finally able to make it out of the country into Metlika (our hometown on the border of Slovenia and Croatia) through a series of extremely miraculous events, including crossing through the mountains with a group of monks and narrowly missing a check for papers. 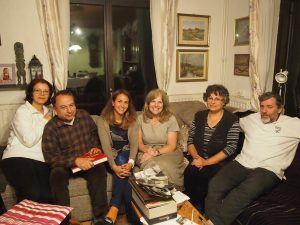 Then, in 1996, these same cousins were able to visit the United States, through some connections in their work with the airlines. They came to our home and stayed with us. We met our 10-year-old cousin Sandro who could speak 5 languages (Americans are so lazy!). 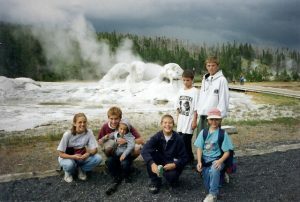 We took them to the Great Salt Lake and then our cousin Svetlana had to leave but Nijaz, Sanja and Sandro came camping with us in Yellowstone. I was only 11, so I didn’t understand all the significance of this event, but they were family, and they represented my Slovene roots. ovenia for as long as we could remember. Grandma Larsen must have put that bug in us. 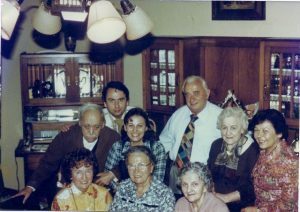 We just wanted to see it, to meet the family members my mom had corresponded with for so long, and to visit those we had met previously. It was such a deep longing in our souls to go there. With my aunt and uncle serving as mission presidents in Hungary (neighbors with Slovenia), it suddenly gave a new reason for going to Europe. After two failed attempts to plan a trip, my m om and I finally sat down at our laptops, got on Skype to talk to each other, and pressed the “purchase” button at the same time. We were finally going to Slovenia. l reunions with those we love are just like that one. I have never felt enveloped in so much constant loveas I did when I met these dear family members. Hvala, Slovenia. Hvala, my cousins. Hvala and nasvidenje. I already miss you, so I think I’ll probably be like my grandma Mary and visit you again. So much family, so many not-so-good pictures, haha Liz, Svetlana, Leslie, Sanja, Nijaz These are the dear relatives who visited us in the U.S. in 1996. Beautiful story and one I can relate to as well. There is something about when one's feet touch down in Slovenia, you know that you are home! My feet touched down yesterday so I will be enjoying my visit for several weeks to come! Hi liz. As someone just starting to trace their family history, I read your story with much interest and found it a very moving experience. My name is Garry Prus and I live in the south west of Western Australia. My father Alois (aka Slavo, Slavko) migrated to Australia with his German wife, as displaced citizens in 1950 – looking for a better life after the war. 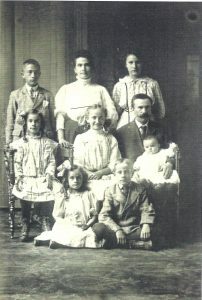 Alois was also born in Metlika in 1916. My wife and I are planning a trip to Metlika next year and have spotted the Prus winery as a place to visit. I hope to have a lot more history to work with before our visit. I would greatly appreciate any knowledge you may have (and wish to share) and to determine any family connections. Busselton, Western Australia (another wine region! ).